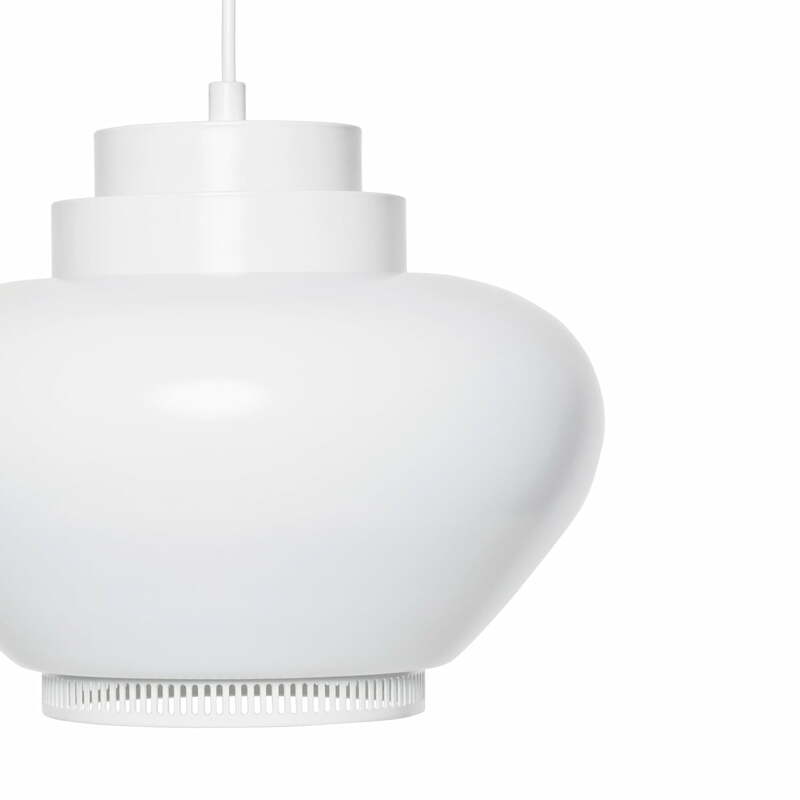 Alvar Aalto designed the Pendant Lamp A333 in the 1950s, which with its organic shape is reminiscent of a turnip or flower. The lamp design is manufactured by Artek today. A timeless design which looks gorgeous in living and dining rooms as well as in public spaces. The shade for the Pendant Lamp A333 is painted opaque white, which is why light is mostly emitted through the bottom of the shade. As a result, the pendant lamp is more suited to pointed lighting over a dining table or counter in kitchens, cafés or restaurants. The design of the Pendant Lamp A333 is completed with a subdued ring at the shade’s base, which is available in consistent white (model available on request) or decorated with brass as an elegant detail. The Pendant Lamp A333 by Alvar Aalto is a subdued and also special pendant lamp by Artek for private and public spaces. 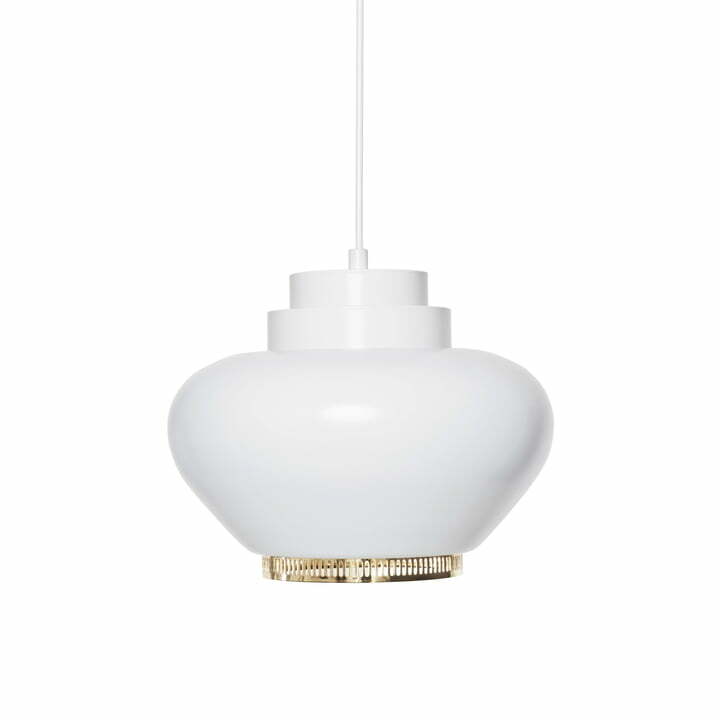 Single image of the A333 pendant lamp in white with a brass ring. The pendant lamp by the manufacturer Artek was designed yb the famous designer Alvar Aalto. Produkteinzelabbildung der A 333 Hängeleuchte in weiß mit Messingring. Die Pendelleuchte des Herstellers Artek wurde von dem bekannten Designer Alvar Aalto entworfen. Detail image of the A 333 Pendant LAmp in white with white ring. 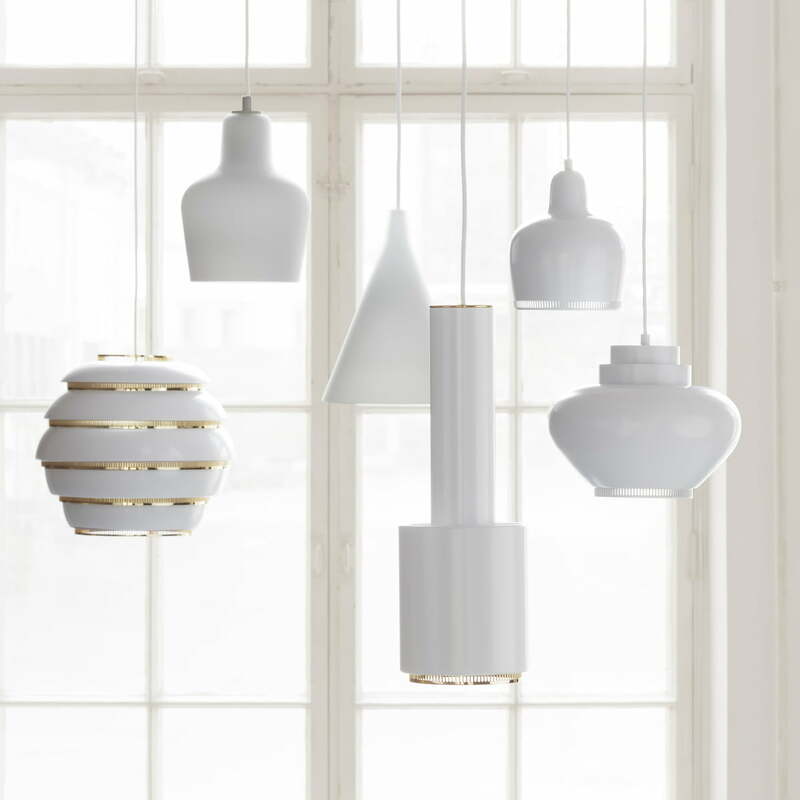 The suspension lamp from the manufacturer Artek was designed by the popular designer Alvar Aalto.